Ethan Happ had 26 points and 10 rebounds as Wisconsin handed No. 2 Michigan its first loss of the season, breaking away in the final minute for a 64-54 victory Saturday. MADISON, Wis. (AP) -- Ethan Happ and the Wisconsin Badgers finally closed out a tight game. Against No. 2 Michigan, too. The Wolverines closed within 57-54 on Isaiah Livers' 3-pointer with just under a minute to play. 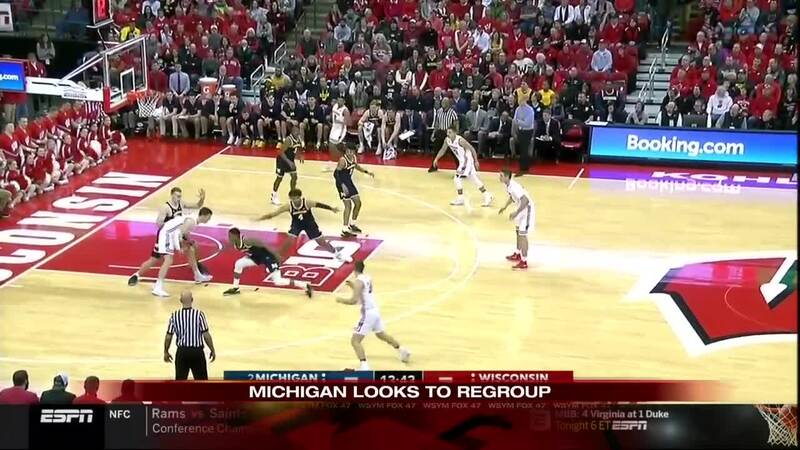 Michigan put on a full-court press that the Badgers broke, and Ignas Brazdeikis was whistled for a flagrant foul on Happ, who was across the court from the ball. Beilein said he wasn't given an explanation on the flagrant foul seemed mystified by the call. Beilein said he told the referees Michigan was going to foul.